Would you give this guy a lift? On Sunday, when I returned to the trailhead after my 8-mile hike to Joeffre Lakes, a guy was thumbing a ride from the side of the road above the parking lot. He was young, reasonably well-kempt, heading my direction and not having any luck. So I waved him over and offered him a sandwich and a lift. Nate in his souvenir t-shirt, which has been signed by everybody he’s met on his trip, including me (in green). Over PB&J’s, Nate told me he was on break from University, where he studies Mandarin and Korean, on his way home to Ontario after thumbing all the way across Canada to take a swim in the Pacific. I put Nate in charge of the ipod – he played Garth Brooks and then the Dirty Dancing soundtrack, making him one of my all-time favorite road trip DJ’s – and we spent the next three hours singing along (Nate made it to the second round of Canadian Idol last year), talking about the lure of travel, the meaning of life and marveling in comfortable silence at the endless natural wonders of British Columbia. Nate soon confessed that before this trip, he had never once left his home province. After a week on the road, the travel bug had bitten him hard and he was overwhelmed by the sheer scale and beauty of the world and enamored by the kindness of strangers, who had driven him along every spectacular mile. “I don’t know how I’m supposed to stay home after this,” he said, grinning. 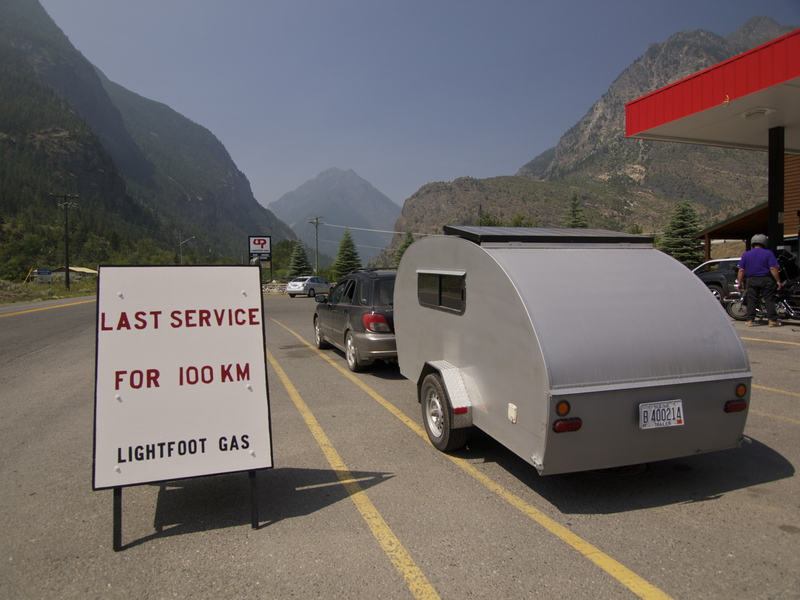 When I stopped in Lillooet to get a few groceries, Nate got out of the car, but didn’t follow me inside. Don’t you need anything? I asked him. He shook his head and I asked if he wanted to wait in the car and he shrugged and said, “I can wait out here. Hitchhiker etiquette.” See what I mean? Hitchhikers have excellent manners. Everything in Canada is few and far between. 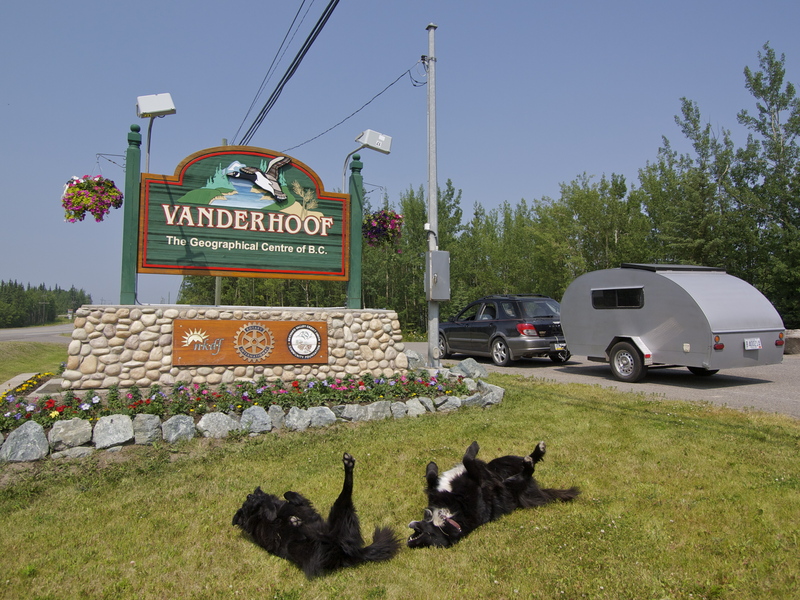 Rolling into Vanderhoof, geographical center of British Columbia and ground zero for a very creepy missing persons case. And yes, my dogs are being ridiculous. I’m glad I had my delightful Canadian hitchhiker adventure when I did, because not long after I dropped Nate off at the intersection of highways 97 and 24, I started seeing missing person posters that hit me hard. Last summer, when I first started talking about a trip to Alaska, a worried friend sent me a link to a scary story about a girl who had disappeared near Vanderhoof, British Columbia. 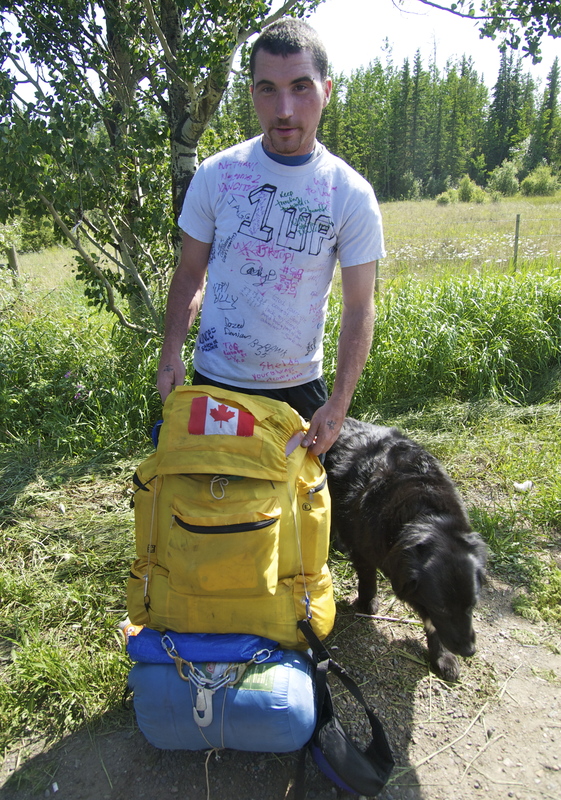 On May 27th, 2011 20 year old Madison Scott was celebrating high school graduation with a bunch of friends at Hogsback Lake. The next morning, after everybody packed up, her tent was still standing in the campground, apparently unused. Maddie has not been seen since, despite exhaustive searches, ubiquitous missing person posters and a $100,000 reward. 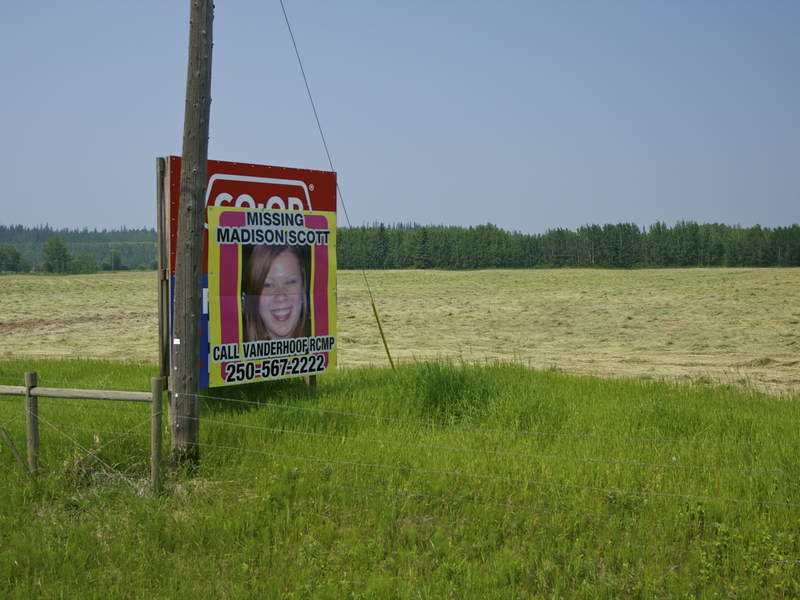 Maddy Scott’s face appears on billboards and missing posters from Quesnel to Vanderhoof. Maddy’s disappearance is made even more chilling by a long standing pattern of missing women along the Yellowhead Highway, which runs through Vanderhoof between Prince George and Prince Rupert. Over the past 30 years, between 18 and 43 women, depending on whom you ask, have vanished or been found murdered along this stretch of highway 16. Many of the missing women were last seen hitchhiking and there are enough similarities between the cases that authorities suspect they’re dealing with at least one serial killer and possibly several copycats. Maddy wasn’t hitchhiking, but she’s not the only woman who has disappeared along this stretch of road, nicknamed the Highway of Tears. 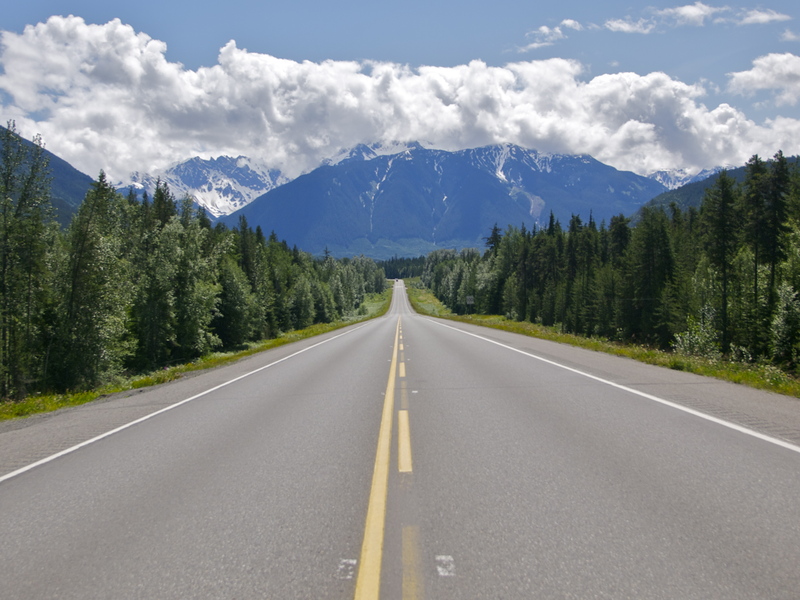 Last summer, reading that story gave me pause about driving solo through British Columbia. I have great faith in my fellow man and have always had tremendous fortune when traveling, but I am not immune to scary stories, especially when they are true. 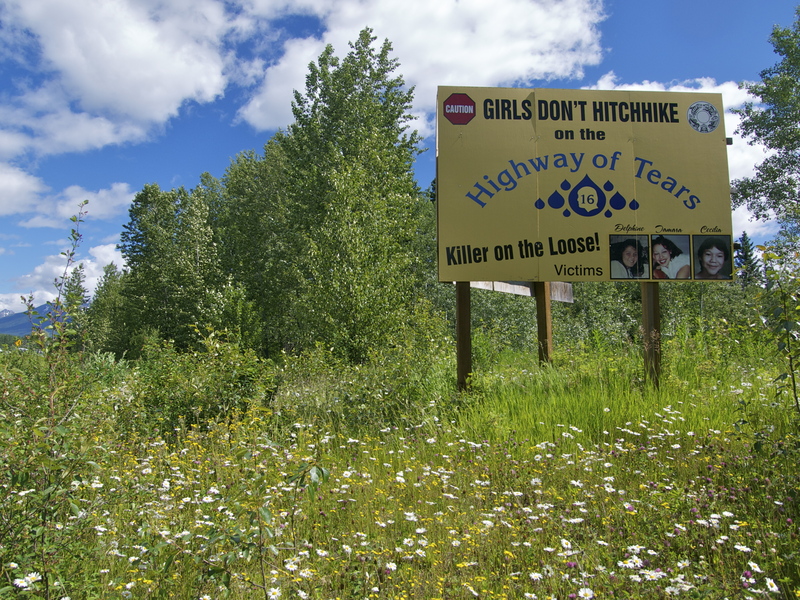 Of course, in all my excitement about road tripping through unexplored territory to my 50th state, I completely forgot about the Highway of Tears, until I started seeing Maddy’s face on billboards, gas pumps and bumper stickers. 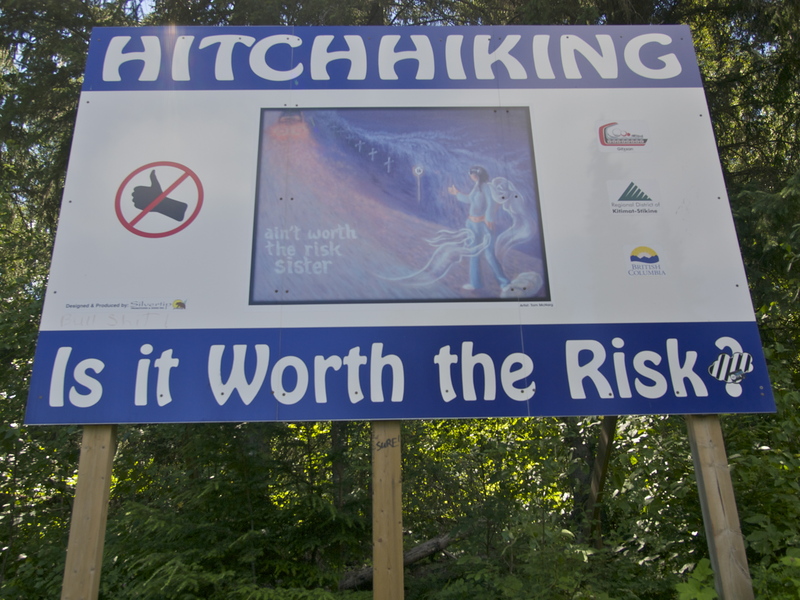 I didn’t pick up any hitchhikers along the Yellowhead Highway. If I had seen a woman thumbing a ride, I might have given her a lift. But it seems all the ominous billboards are working. In 500 miles, the only person I saw thumbing a ride was a middle aged Native man, going the other direction. Giving and getting rides should not be so dangerous. In most cases and places, I would argue that it’s not. When I told Nate I was an American he asked, “Is it true that hitchhiking in America will get you killed?” I told him no, that the lethal hitchhiking hype is a ruse designed to keep would be vagabonds at home. I hate that the remote possibility of meeting a psycho could make me miss out on meeting people like Nate. Is it possible that the guy with his thumb out on the side of the road is a homicidal maniac with a axe stashed in his backpack? Sure, anything is possible. But it’s far more likely he’s just trying to get from A to B and that if I show him some kindness he’ll keep the axe stowed and be kind in return. Humanity should be represented by the people we meet in our lifetime; I try to judge my fellow man by what I see with my own eyes, not by what I hear from the fear mongering media. But driving along the gorgeous Yellowhead Highway, all I saw was Maddy’s sweet smiling missing face. Please visit www.findmaddy.ca. Turning off 16, heading north towards Alaska! 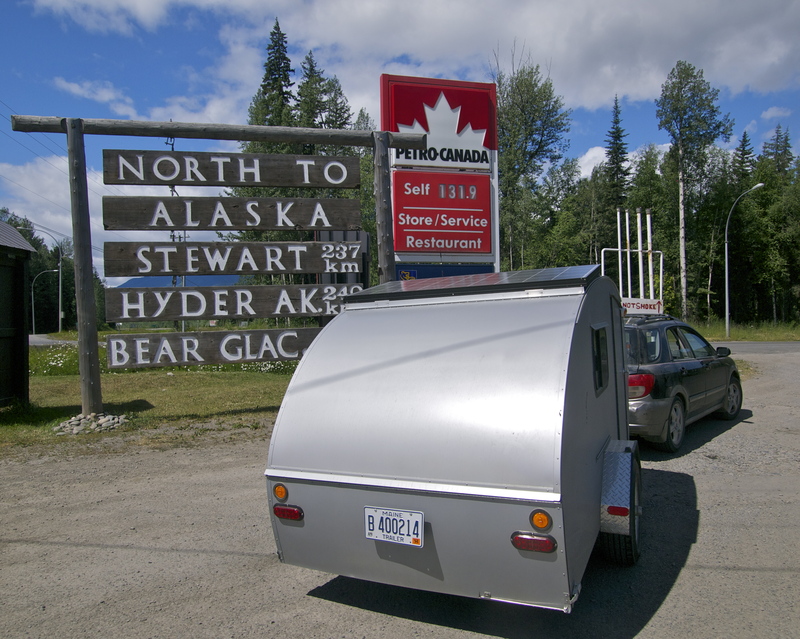 This entry was posted in Beyond the USA, Bowie & D.O.G., Photography, Road tripping!, Sustainable Living, Vagabonding 101 and tagged British Columbia, Canada, Highway of Tears, hitchhiking, Maddy Scott. Bookmark the permalink. 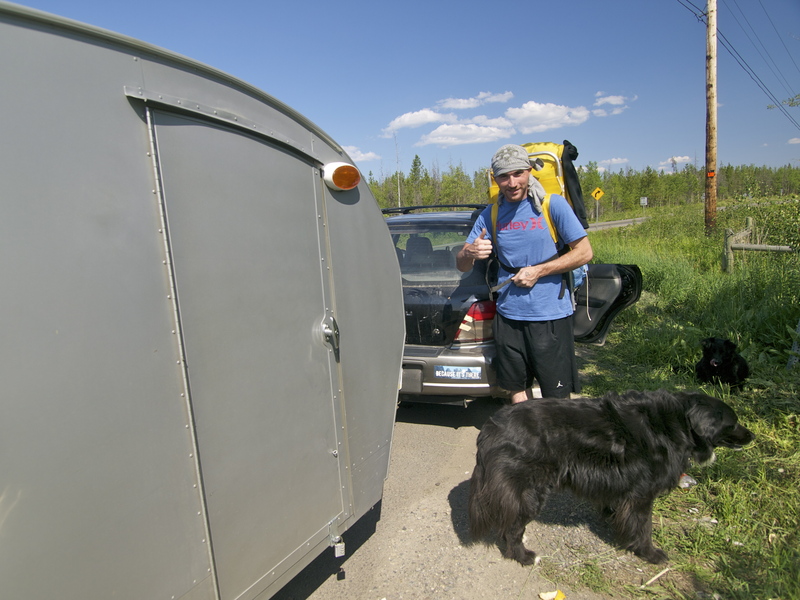 Thinks for this post – I’ve had some great experiences with hitchhikers in my travels as well, although I always choose carefully who I pick up (and having two dogs along for the protective factor helps a bit too). And welcome to northern B.C! I’ve been following your travels for several months & I’m so glad you’re exploring this amazing part of the world. Drop me a line if you pass through Prince George — I have a cabin 10 min from town with plenty of space if you’d like to park and explore for a few days!! I am happy you are safely making your journey. I never picked anyone up in my rig but have on occasion picked p a local guy only to find he had stolen my6 envelope with my weeks pay. I do believe some of us are chosen to just ride out the storms of life while other like that sweet girl run up against a nasty soul with only evil intent. I have so many fond memories from the road and being a sweet young girl in a big ole truck maybe kept me safe. Hi, thank you for the great hitchhiking story! When I was young I used to hitchhike through Europe, being Spanish, but I always did it together with a boy, never alone. I will never forget a gentleman in Amsterdam who not only answered to our quest for a youth hostel in the suburbs when we arrived to the town but let us to sit down inside his car while he attended a business and then took us to the hostel. Now I am retired and I always pick up a hitchhiker along the road, not that I find many nevertheless. It’s great to know that this splendid tradition of sharing one’s ride didn’t died out completely. I’ve read that in north America is not as common as it used to be (and in US even forbiden in some states – which is shame). It great you gave him a lift, and as from my experience as a hitchhiker, lift with food is the ultimate (on par with the one that takes you to the party or offer you accomodation for free 🙂 ). So I wish you all the best, even more great photos, yet more amazing places to visit and thousands and thousands of safe kilometers with your teardrop always behind you. What an absolutely delightful post. I look forward to your posts from Alaska . . .
Well, that had to be a bit disheartening, no doubt. Having your two large, toothy companions with you is a huge plus regarding safety though. And hey, maybe a bumper sticker to the effect of “I Wrassle Live Gators For Fun” would be a good warning signal lol! Front bumper and teardrop bumper. Glad you met Nate and had a travel mate for a while. Sounds like it was good fun 🙂 Just be a careful lass up in the Great Northwest. You could use the blog as security – insist on posting a photo of any hitch hiker before giving them a lift, then if we don’t hear from you your blog followers would raise the alarm. Hopefully that precaution would put off any murderers. But it is unfair when those few individuals ruin freedom for everyone else. Life is a risk, but you can use wisdom which risks you choose. I just love this Blog. You sure blew through WA Mary… Any plans for exploring WA on your way back? Hitchhiking in the US HAS dissappeared because of all of the kind drivers picking up hitchhikers. Most of it started when you were probably still in diapers, but there have been many cases of kind people killed because of their kindness. Be careful out there; that story about the Highway Of Tears is very scary. Glad I found your blog…great post! Thought provoking really. I actually walked away and kept thinking about it and had to come back and comment. Love your spirit and the thought of not letting your fears keeping your from meeting someone like Nate….then contrast that as you tell your story about the Highway of Tears. Thanks for sharing, and good luck to you! What an adventure! I”m glad to know there are still decent people in this world. I don’t know if I can ever get to your point. With the exception of being killed, I’ve had just about every other “bad” thing happen so I have a skewed view of life and trust. However, even with all that’s happened I still have a young girl’s dream that the world could be a welcoming place and most people are good. I mean I am considering selling all my stuff and hitting the road. Probably won’t pick up hitchers and will stay in a RV (no tents…lol). It’s difficult to trust when you’ve had rough experiences. I’m happy your life experience has been positive; just keep your ear open for that little voice that will warn you if something doesn’t seem right. You have been blessed and the previous comment about taking a picture and placing on your blog of any hitchers is a great idea. Great post and a sad post all at the same time. I used to hitch hike as well, and i was really lucky to be able for people to stop and pick me up. In 16 years of hitchhiking in the United States, only once did someone pull a knife on me.